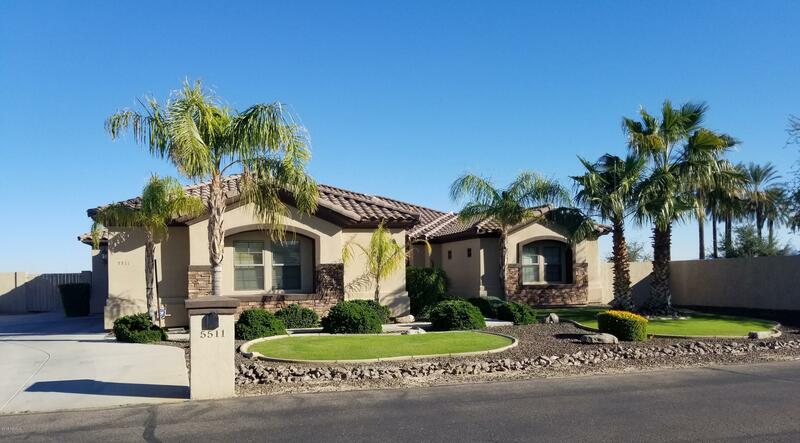 All Litchfield Park homes currently listed for sale in Litchfield Park as of 04/24/2019 are shown below. You can change the search criteria at any time by pressing the 'Change Search' button below. 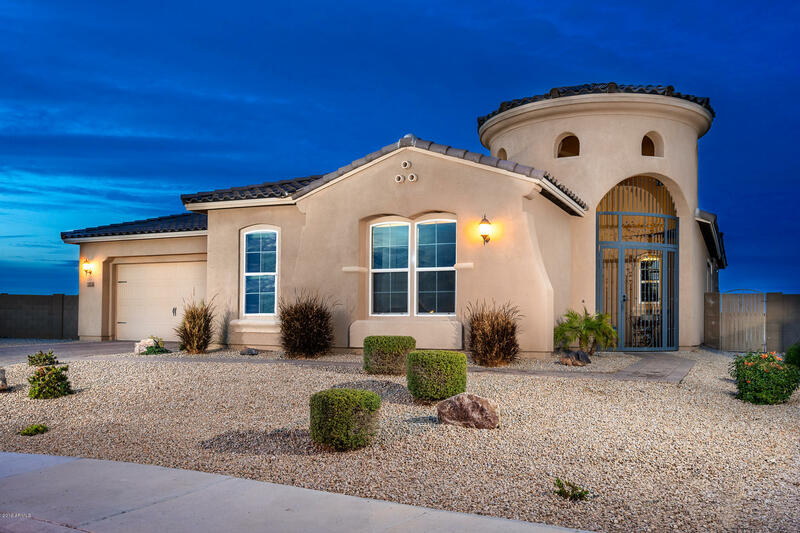 If you have any questions or you would like more information about any Litchfield Park homes for sale or other Litchfield Park real estate, please contact us and one of our knowledgeable Litchfield Park REALTORS® would be pleased to assist you. "All I can say about this property is WOW! Welcome to the Elitist's playground! It has everything you and your family and friends want to do onsite! Want to practice your putting? No problem, there's a putting green in your back yard! 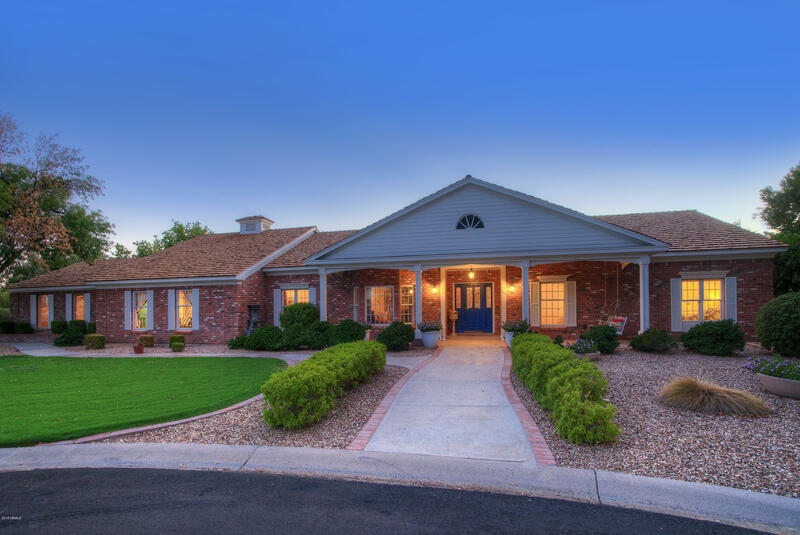 Want to have your horses and still be near Dunn's, Buckeye Equestrian Center and Wickenburg? No problem, there is an 8 stall mare motel, loping/barrel arena and hot walker ready to get your horses in tip top shape. Love to entertain? 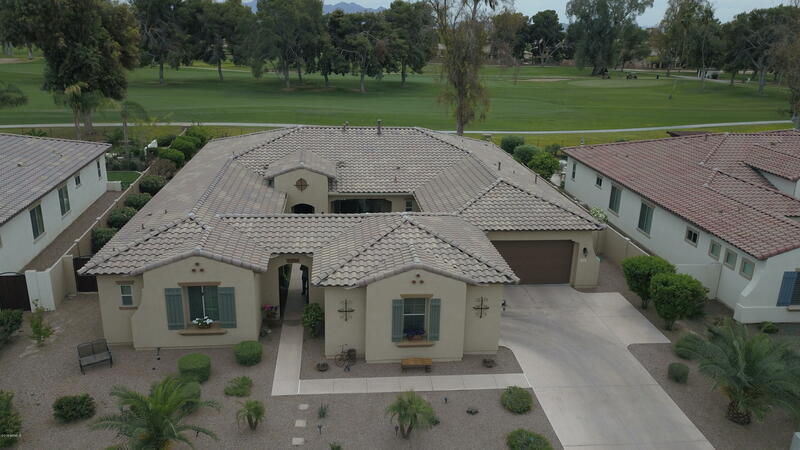 This house has the PERFECT set u"
"Extraordinary Litchfield Park proper 1.41AC home on the 1st hole of WIGWAM GOLD COURSE. LARGEST LOT IN LITCHFIELD PARK PROPER. Complete remodel with first class attention to detail. Main home has 3103 sf with two bedrooms with their own bathrooms plus an office (could be a third bedroom) with a half bath. 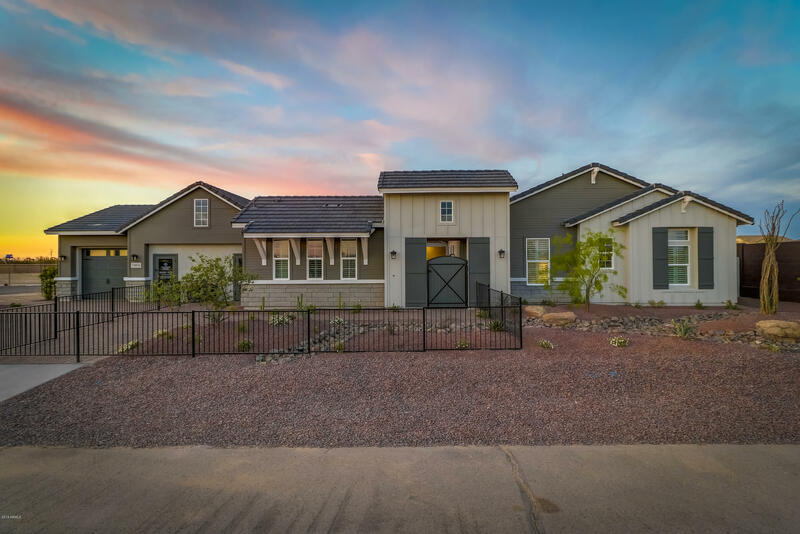 New guest casita is 644 sf with it's own living room, kitchenette, half bath and two bedrooms with their own bathrooms and private courtyards. 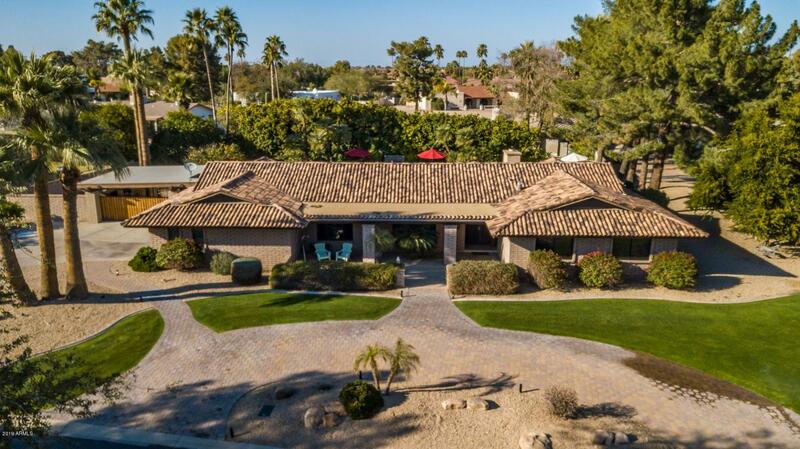 Entire property is your own resort complete with "
"EXQUISITE complete remodel in Old Litchfield located on the Prestigious first hole of the Wigwam's GOLD course. When you walk in the front door, you are welcomed with a gorgeous great room with sweeping views of the course. Custom waterproof luxury plank floors throughout home. Luxurious two-way fireplace from living into master with custom stone work. Chef's kitchen features six burner Wolf range, colossal quartz island and oversize separate fridge and freezer. 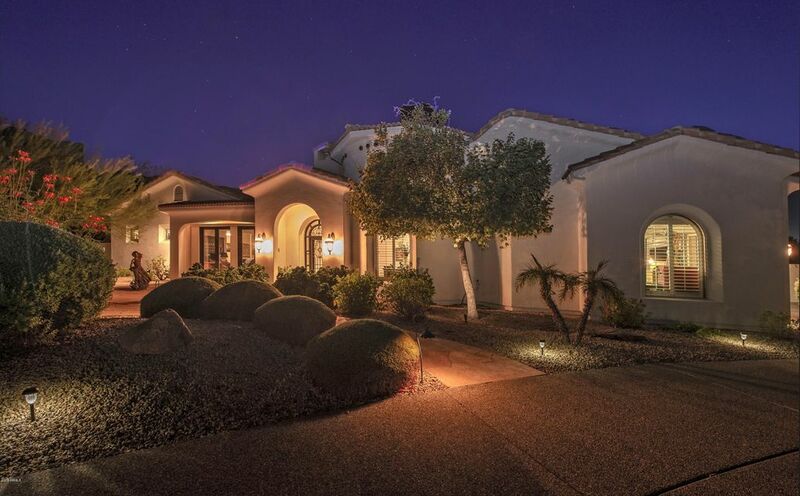 Home features 2 master suites co"
"Amazing Residence in Litchfield Park Arizona for sale. One level home with a Basement and a Guest suite . Master bedroom with separate tile shower & tub, double sinks. Balcony from Master & Great room to enjoy the city light views. Private pool, 2 bedrooms with full bathrooms, Office/Den and 1/2 bathroom. Basement has one bedroom with its own full bathroom, Living room, game room and Guest suite. 10' high ceiling and 4 spacious car garage. Livable 5954 S.F. Under construction 8769 S.F. Home." 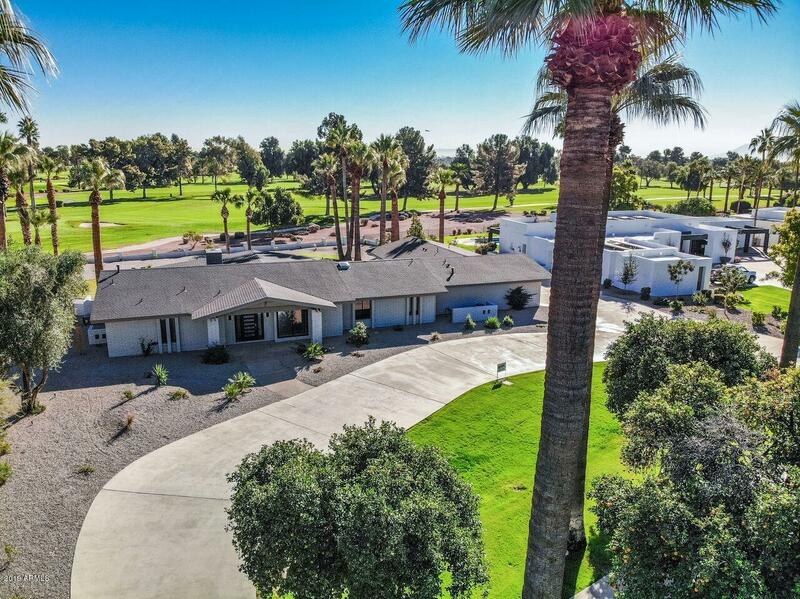 "Stunning complete remodel on 4th hole of Wigwam's Red Golf Course! 4BR+Den, 4.5BA, 4.5 car gar, SE lot w/stunning views & completely new backyard featuring an elegant heated play pool w/water features, travertine deck, 2 covered patios & artificial grass! This nearly new home was completely renovated transforming it into a richly appointed truly magnificent showplace home! Sound system t/o interior & exterior & Smart home wired t/o interior & exterior as well. HUGE great room off designer kitche"
"This custom-built Litchfield Park home boasts 5,748 square feet with 4 bedrooms and 4.5 bathrooms of pure luxury that will exceed all of your expectations. The enhancements include interior courtyard with fountain, travertine flooring, huge living room , formal dining room, five fireplaces, a beautiful library, a basement with a full bedroom and bathroom, a 1,100 bottle wine cellar cedar closet, custom wood cabinetry, a three-car garage with built in storage cabinets, and a casita equipped with "
"Spectacular new homes on 1/2 acre lots. 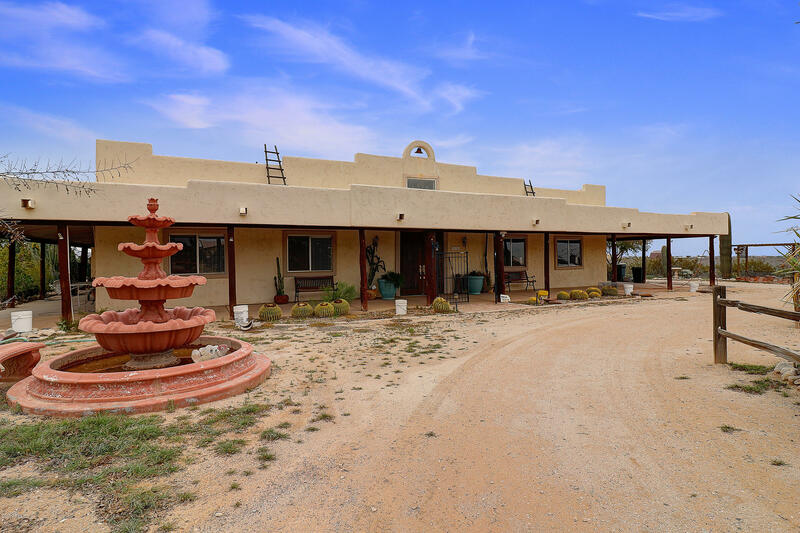 Well located approximately 8 minutes to the 101 freeway and 10 minutes to I-10. 15 minutes to Arrowhead Mall and large amount of shopping just south on Dysart Rd. Homes range from 2712 - 3646 square feet. These are Energy Star homes and are part of the Environments for Living guaranteed utility rates." "Welcome to Resort Style Living at its BEST! 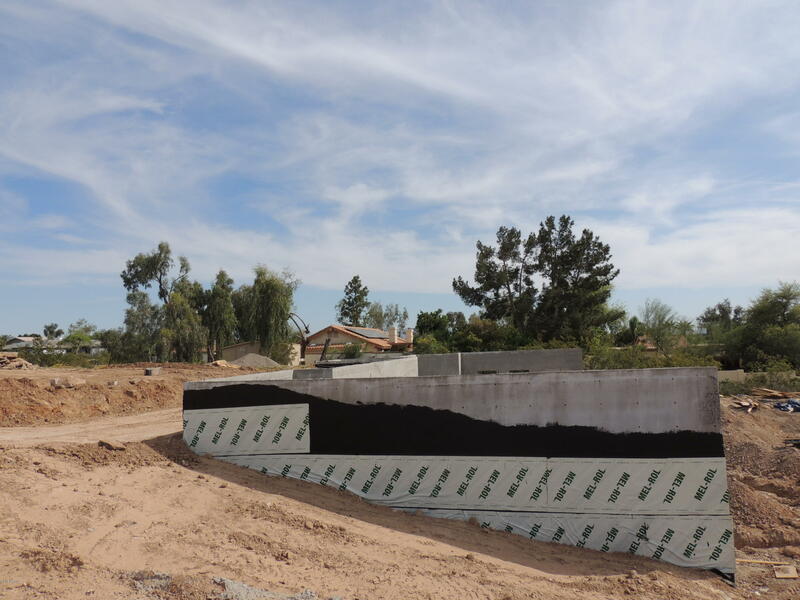 The Subdivision of Litchfield Park offers upscale living with all the amenities of the city and a refreshing hometown feel. Your family will delight in this beautifully unique red brick colonial. This charming ranch style home has all the amenities that make golf course living a dream come true! 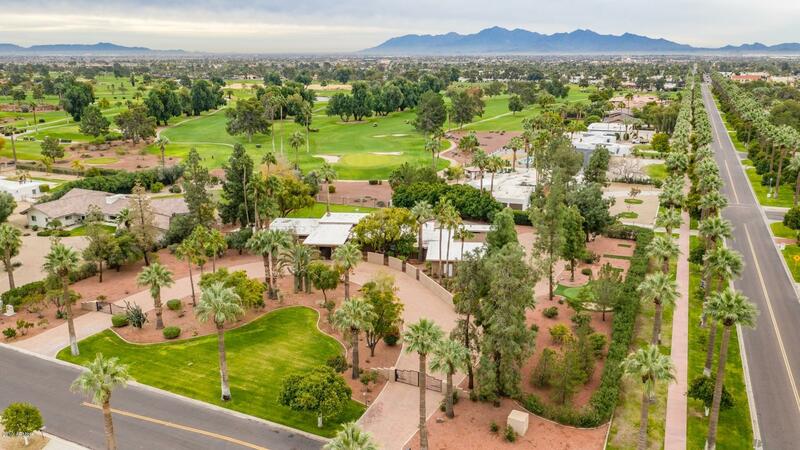 Enjoy spectacular golf course views from the 10th tee of the Wigwam Gold Championship Golf Course while lounging in the heated pool & spa, or dine under the ne"
"Charming Home and Dynamite location with a east facing, backyard views that grace the Historic Wigwams Red Golf Course Hole # 6 par 5. This Architectural beauty will not disappoint with a modern style open kitchen floor plan and upgraded stainless steel appliances, that opens into vast living and dining room areas with golf course/patio views. The Grand master bedroom off to its own, includes gas fireplace and sitting area overlooking the cozy, separate covered back patio. Luxurious master bath "
"Remodeled home ''inside the park'' with thoughtful design, quality craftsmanship, additional square feet built, stunning custom finishes professionally designed in collaboration with ''K Design''. New construction includes new plumbing, electrical, mechanical, etc. with completion expected mid May. 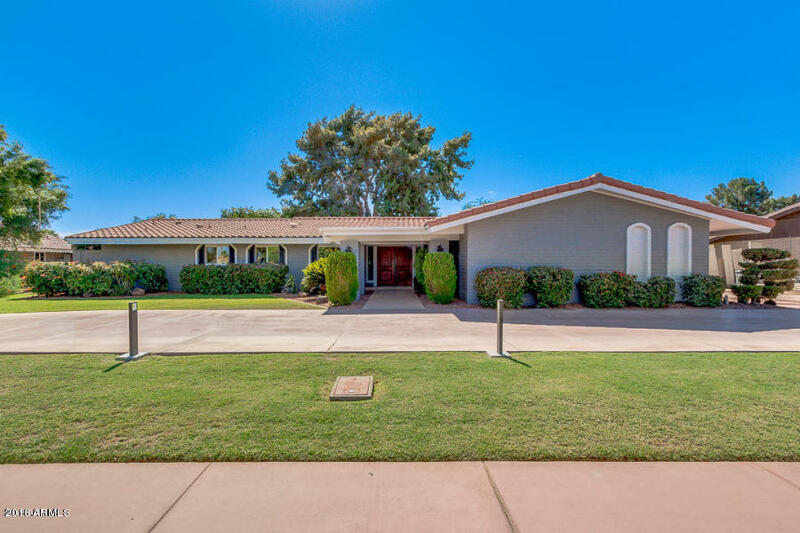 The ranch home on a large oversized lot and a cul de sac with a large pool; boasts an inviting open kitchen and great room concept with charming details throughout. The split floor plan of 4 bedrooms"
"Check THIS out! QUALITY CRAFTSMANSHIP in this CUSTOM BUILT HOME. Built with ''Rastra'' block (a cement foam ICF block). All Pella triple pain windows and sliders. All solid core doors and upgraded hardware. Underground air return to equalize temp. Smart panel with 2 cat5e and 2 RG6 to every room. soffit light dimmers. Split floor plan home, gorgeous built in aquarium, knotty alder cabinetry with under counter lights at every cabinet. A detached 24' x 40' shop with a mezzanine, bathroom, and RV"
"Here is your chance to own an amazing semi custom home on the prestigious Wig Wam Golf course. There are not many homes in Litchfield, on the golf course, that are less than 4 years old, but here is one of them. Not sure where to start. The awesome courtyard area upon entering the first gate, the 4 car garage, R/V gate, upgraded water systems to include R/O and water softener, ''Screen master'' security doors, or the highly upgraded ceiling fans. 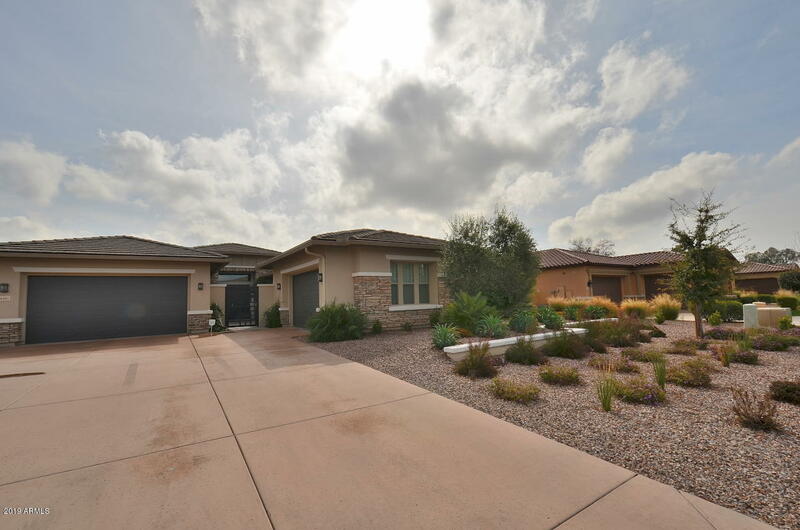 The master bedroom has 2 large walk in clos"
"This is a True Santa Fe style custom home! 3800 SF with 3 bedrooms, 3 baths, 2 bonus rooms and separate RV/Shop with 1500 SF enclosed, 400 SF over hang, evap, 30 amp service plus more parking on the side. Gated entrance with 100 year old majestic Saguaro cactus invites you as you drive up to this gorgeous home with features that include: Solid core 2'' knotty alder doors with Baldwin Hardware , interior peel poles and hand carved headers along with hand carved floor etchings are just a few of th"
"This gorgeous home embodies ''Old Litchfield Park'' at its finest! Beautiful formal rooms complimented by the open kitchen/family room and resort style backyard make this an entertainer's dream home. Main house is 2772 square feet with three bedrooms, three bathrooms plus an office. 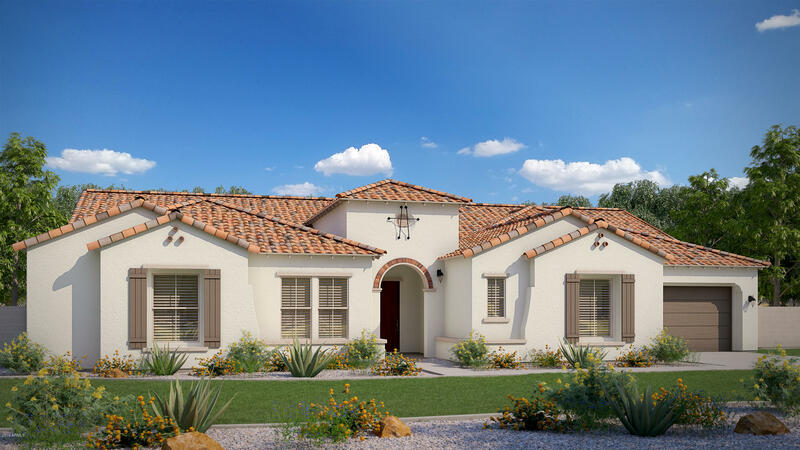 Casita features an additional 192 square feet of liveable space/4th bedroom with 4th bath. 2 car garage plus an additional carport with RV gate provide space for all your vehicles and toys. The beautifully lands"
"Just Reduced $45k This property is just beautiful! Very clean layout inside and out. RV gates and parking,horse property. Front yard is low maintenance stone & gravel. Inside the exquisite foyer with inlaid mosaic tile, is a formal dinning. A cozy family room with a stone walled fireplace. The eat-in kitchen has a round stone and granite breakfast bar with pendent lighting, coffee colored custom cabinets, top of the line ss appliances, recessed lighting. The spacious master bedroom has priv"
"This immaculate custom home located in an upscale gated community near the quaint village of Litchfield Park features 12 Foot Ceilings, Travertine and Hardwood Flooring, Spacious Gourmet Kitchen Overlooking Breakfast Area and Family Room with Gas Burning Fireplace, Granite Countertops and Large Pantry, Custom Window Treatments with Plantation Shutters, Formal Living and Dining Areas With Study/Office Across the Hall, Wet Bar With Pass Through Off Dining Room, Walk-In Closets in every bedroom, Ch"
"Come see this beautiful custom home! 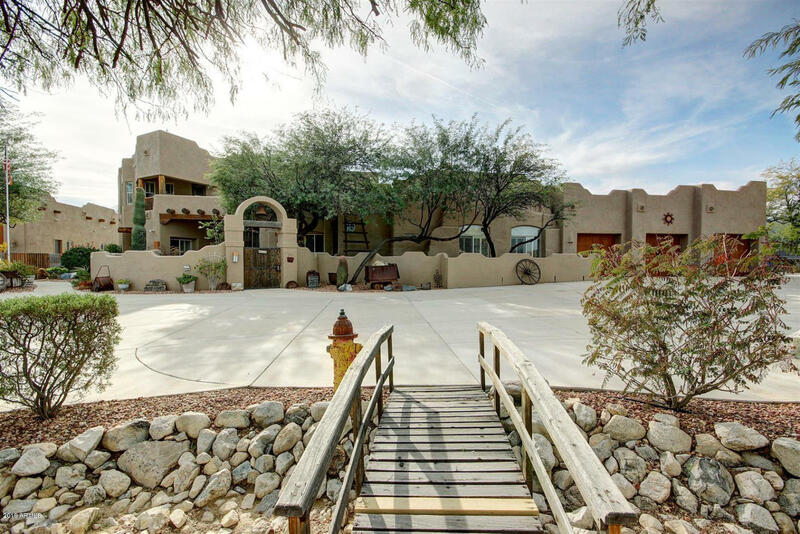 A spacious 3225 sqft., 4 bedroom home, on a half acre. An open kitchen with a large center island and granite countertops create a great space to entertain. The huge master bedroom in this split floor plan provides a great retreat. A large bathroom and oversized walk in closet complete this master suite. The backyard will keep you busy all year round with a resort-style pool and spa, gazebo with built-in bbq, garden, and outdoor fireplace! 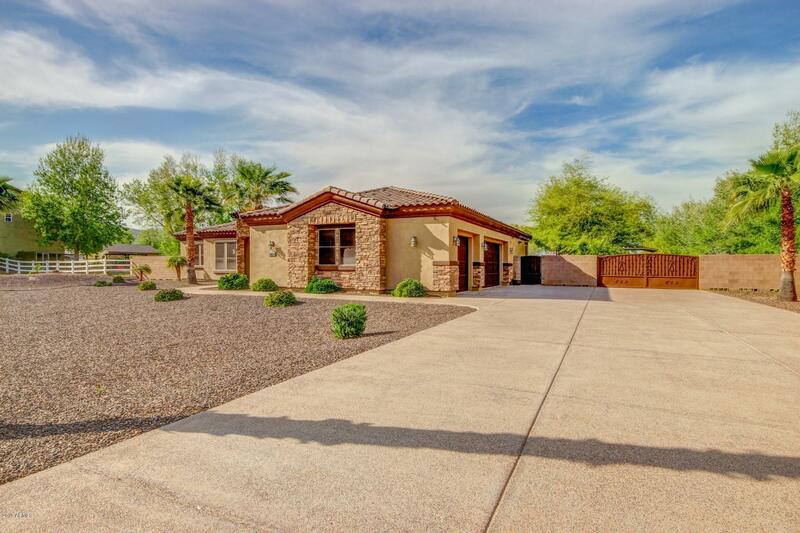 Hurry this home wil"
"Fully remodeled golf course home at the Wigwam Gold Course. 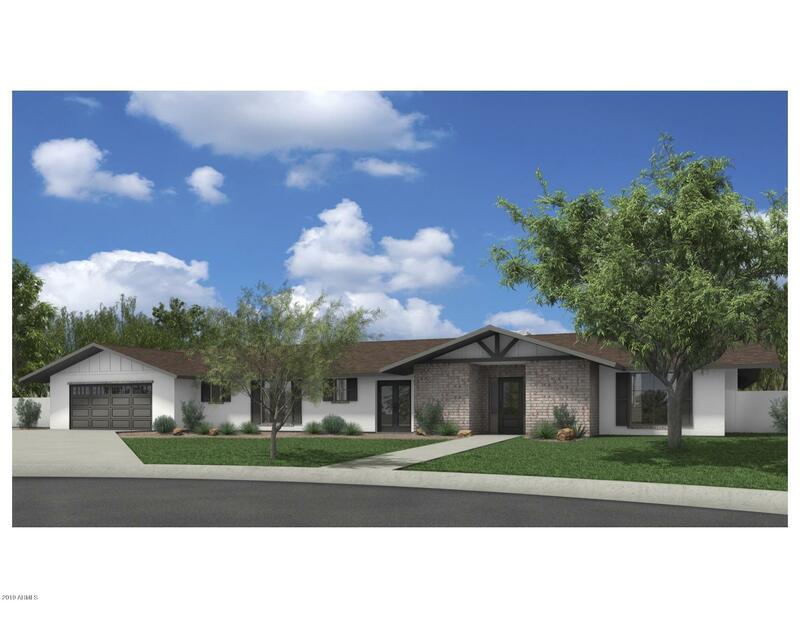 This beautifully crafted 3 bed, 3 bath property features lush landscaping, 2 car garage, and circular driveway. 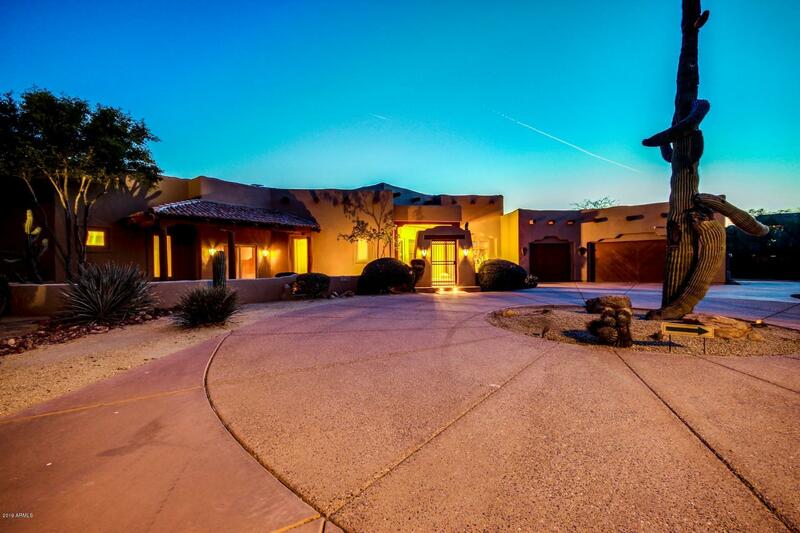 Step inside to find a home that is an entertainers dream looking out on the golf course. This modern kitchen is equipped with full size fridge and freezer, dual dishwashers, 13' waterfall quartz island, and pantry. Dual master suite on either ends of this home includes private backyard exit, walk in custom closets. The backyar"
"Exceptional opportunity to own this stunning custom home. 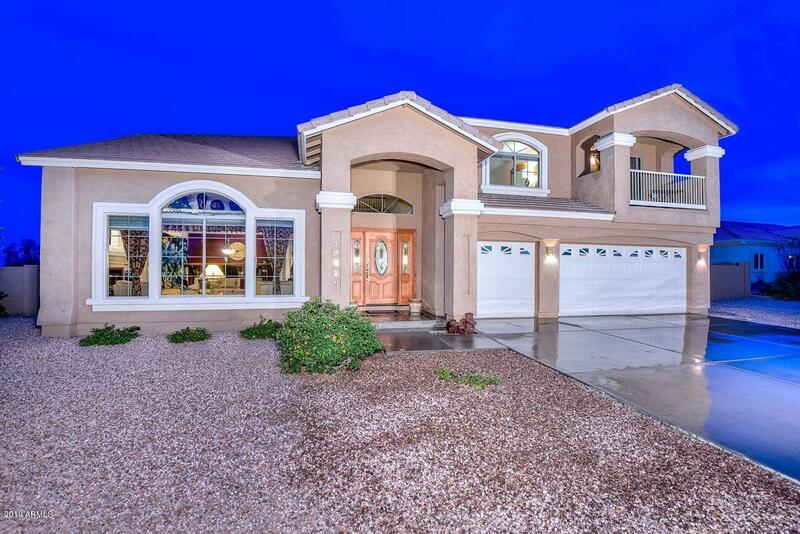 Situated on a large lot this 5 bedroom, 4 bath home has it all. Great curb appeal with a grand entrance drawing you into the home where you will find a large sunken formal living room with soaring ceilings, a cozy fireplace surrounded by windows and an elevated formal dining room. Follow through to the large kitchen and be amazed by the amount of cabinet and counter space, granite counter tops, a large kitchen island with seating, stain"
"Imagine the majestic sunsets and sunrises you'll enjoy in this stunning home which has views of the Estrella and White Tank mountains plus downtown Phoenix! Located on an acre lot, this gated, cul de sac home is a potential multi-generational home and has been very well maintained. Lots of room for vehicles and motorized toys with a 3.75-car garage which also has evap cooling. 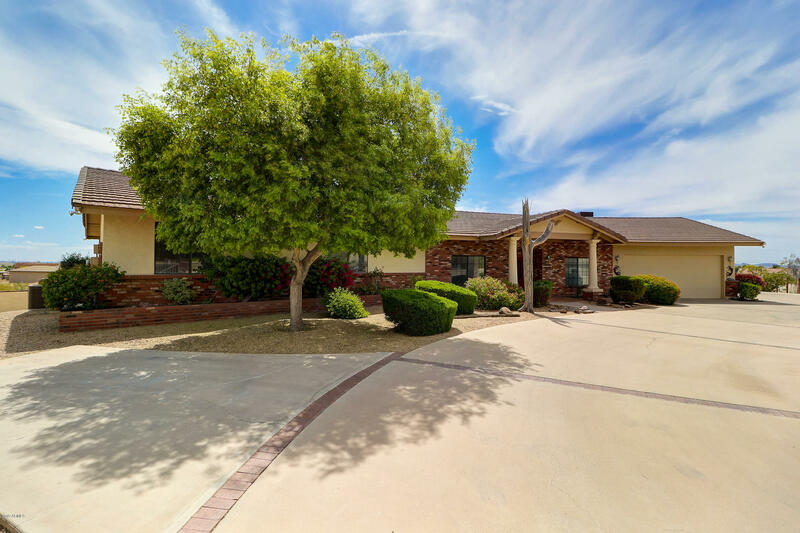 This home has 4 bedrooms / 4 baths with a finished walk-out basement which includes one of the bedrooms, game room an"
"Spectacular better than new single level in sought after Litchfield Park! 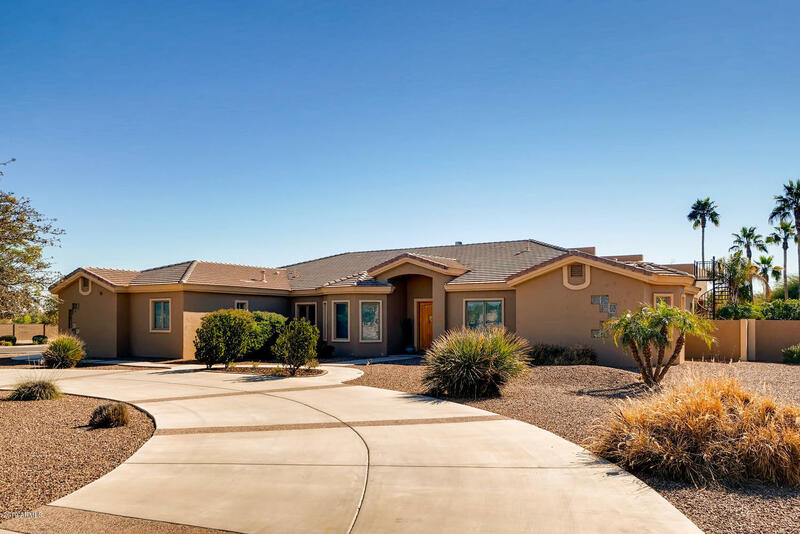 This fantastic home features desert landscaping, 4 car garage w/paver extended driveway, a private Casita/Guest House, RV gate, great curb appeal, and gated front patio. Interior boasts designer tile flooring, formal living & dining rooms, family room, sliding glass doors to courtyard w/fireplace that brings the outdoors inside with an abundance of entertaining space, sliding glass doors to covered patio, transom windows a"
"Beautiful, spacious Custom built home on almost a half-acre that is adjacent to the greenbelt gated community entrance of the prestigious Russell Ranch Community. 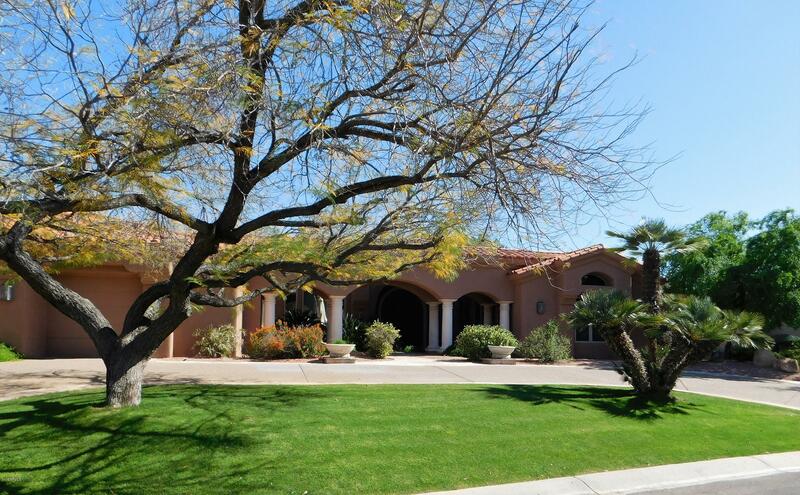 Vaulted and high ceilings throughout with complimentary niches/arches and beautiful travertine flooring. Generous living and family room areas and a cozy fireplace for your enjoyment. Roomy bedrooms, office/den and bathrooms Enjoy the large walk-in closet and stone jetted tub and separate shower in the master. A large, functional"
"ONE OF A KIND CUSTOM HOME. This custom home is nestled on just shy of an acre. It offers you 3 large bedrooms, bonus room(could be 4th bedroom), 3.5 baths, & over 4200 sqft. Gormet kitchen with sub zero fridge, granite, dual ovens, island, pantry, R/O Sytem, & induction cook top. Three fireplaces are located T/O the home, upgraded tiled floors, security cameras, 6 TV's convey, & master suite with sliding doors, huge walk in closet, jacuzzi tub & separate shower. Some custom features include"